M-Series specialty cameras support today's complex vision requirements that call for high-speed, high-quality inspections and measurements. 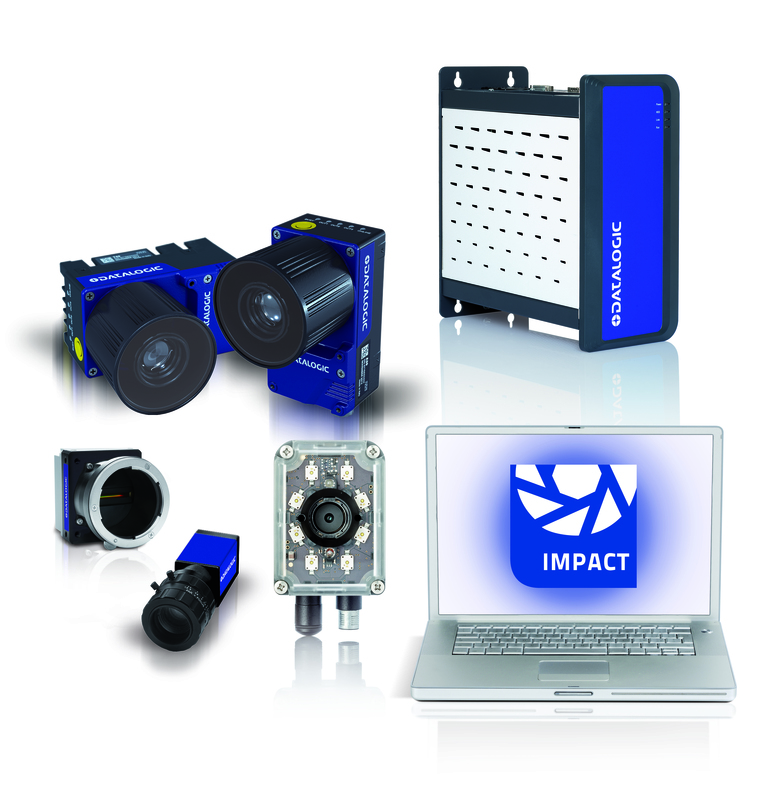 These GigE Vision-compliant models represent the industry’s latest advances in camera technologies, powered by IMPACT software and supported globally by exceptional engineering expertise and customer service. M-Series specialty cameras can be easily integrated with MX-Series processors thus extending the embedded systems capabilities and broadening their applicative scenarios. This USB Hardware Key Driver Update is intended for MX20, MX40, and MX80 processors placed in service prior to May of 2016. This application provides a two camera system to determine the orientation of fiber marker tips before they are inserted into markers. The cameras are placed at 90 degrees to each other. Two LED backlights are used to create a silhouette of the tip. Camera, Gig-E, 1360x1024, 25fps, Monochrome, 1/2"
Camera, Gig-E, 1600x1200, 50fps, Color, 2/3"
Camera, Gig-E, 1600x1200, 50fps, Monochrome, 2/3"
Camera, Gig-E, 1920x1080, 50fps, Color, 2/3"
Camera, Gig-E, 1920x1080, 50fps, Monochrome, 2/3"
Camera, Gig-E, 1Kx1K, 100fps, Color, 1/2"
Camera, Gig-E, 1Kx1K, 100fps, Monochrome, 1/2"
Camera, Gig-E, 2330x1750, 25fps, Color, 1"
Camera, Gig-E, 2330x1750, 25fps, Monochrome, 1"
Camera, Gig-E, IP67, 1024x768, 47fps, Color, 1/3"
Camera, Gig-E, IP67, 1024x768, 47fps, Monochrome, 1/3"
Camera, Gig-E, IP67, 1280x960, 30fps, Color, 1/3"
Camera, Gig-E, IP67, 1280x960, 30fps, Monochrome, 1/3"
Camera, Gig-E, IP67, 1360x1024, 25fps, Color, 1/2"
Camera, Gig-E, IP67, 1360x1024, 25fps, Monochrome, 1/2"
Camera, Gig-E, IP67, 1360x1024, 34fps, Color, 2/3"
Camera, Gig-E, IP67, 1360x1024, 34fps, Monochrome, 2/3"
Camera, Gig-E, IP67, 1600x1200, 26fps, Color, 1/1.8"
Camera, Gig-E, IP67, 1600x1200, 26fps, Monochrome, 1/1.8"
Camera, Gig-E, IP67, 2448x2050, 10fps, Color, 2/3"
Camera, Gig-E, IP67, 2448x2050, 10fps, Monochrome, 2/3"
Camera, Gig-E, IP67, 640x480, 124fps, Color, 1/3"
Camera, Gig-E, IP67, 640x480, 124fps, Monochrome, 1/3"
Camera, Gig-E, IP67, 640x480, 125fps, Color, 1/2"
Camera, Gig-E, IP67, 640x480, 125fps, Monochrome, 1/2"
Camera, Gig-E, IP67, 640x480, 150fps, Color, 1/4"
Camera, Gig-E, IP67, 640x480, 150fps, Monochrome, 1/4"
Camera, Gig-E, IP67, 780x580, 86fps, Color, 1/2"
Camera, Gig-E, IP67, 780x580, 86fps, Monochrome, 1/2"